Make your smartphone or tablet come alive with the convenience of a wireless Bluetooth® connection to your stereo or home theatre system. Songo™ Tap makes any music system Bluetooth® enabled. Control your playlist wirelessly while you’re relaxing on the couch or let your friends take turns sharing their music from their smartphone at your next party. 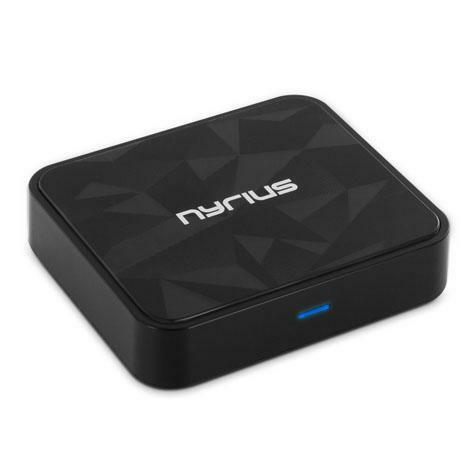 The Nyrius Songo Tap Bluetooth® Music Receiver is aptX™ enabled for high quality Bluetooth® stereo streaming from compatible devices.